I love finding apps that encourage kids to create. The Complete Fairytale Play Theater by developer, Nosy Crow is such an app. 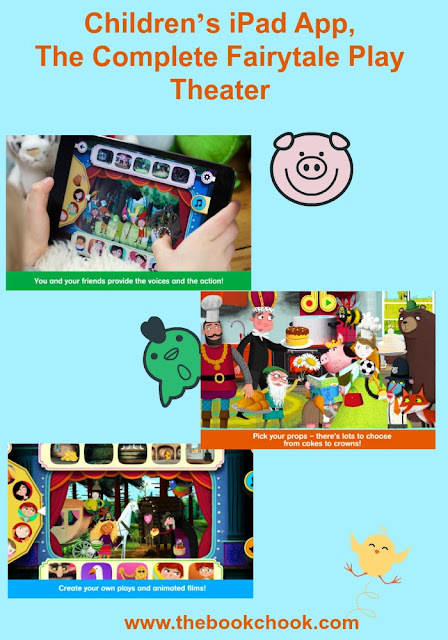 I have previously reviewed Nosy Crow’s story app, The Three Little Pigs and their print book, Axel Scheffler’s Flip Flap Safari. This app really encourages kids to create their own stories. They must choose a stage setting, characters, props and a music soundtrack. As they slowly build a story, they can add more scenes, move characters around and even add their own voice as narrator of the story. I love the way the app has supplied art work from other Nosy Crow fairytale apps, meaning kids can be supported in re-telling familiar tales, or choose to create an all new story. Young storytellers will adore this app, and parents will love that it encourages further reading, storytelling and even play writing! See the app in action in the video below.